Is life already feeling rather full and busy for you? Did you promise yourself more time for You this year? Would you like to hold on to (or recapture!) some of that lovely slower pace you enjoyed over the holidays? This Rest and Retreat Weekend could be just the answer. Created for those wishing to truly S T O P, rest and relax, it will allow you to rest into nature and spend time mindfully eating, walking, and just plain B E I N G.
Enjoy as much or as little activity and interaction as you wish, simply resting into a lovely retreat environment. Listen to the birdsong, watch the water over the harbour or retreat to a comfy chair with your book. A perfect way to nourish yourself this summer. > Return to everyday life revived and ready to bring your best self to people and situations. > One to one session with Karen for transformational change work, coaching, or mindfulness or meditation guidance – as you wish (up to 90 minutes). > Morning and evening meditation. 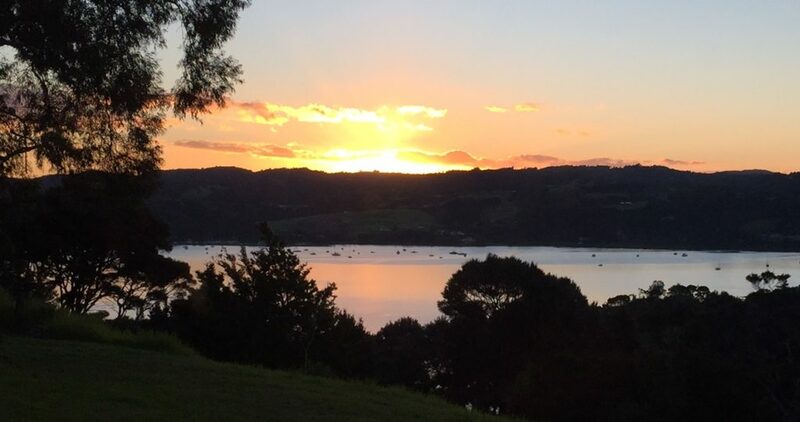 > Short bush walks straight off the property and various walks around Whangarei Heads a short drive away. > Swimming beaches at both ends of the road and also a few mins drive away. > Fresh rainwater in the taps! Each weekend is available to just four guests maximum so it is a truly quiet, boutique experience. $750-795 per person (room dependent). $100 deposit secures your place. 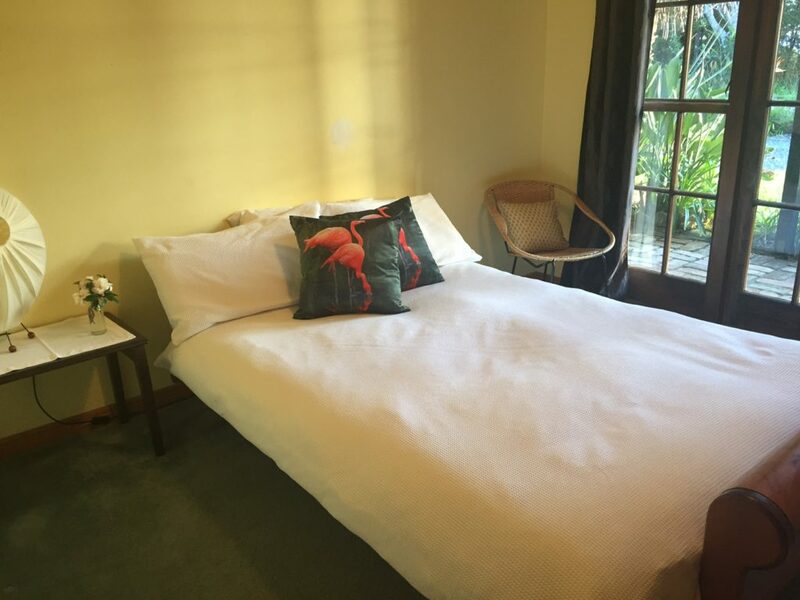 Email Karen here to Book or call 021 403 408. 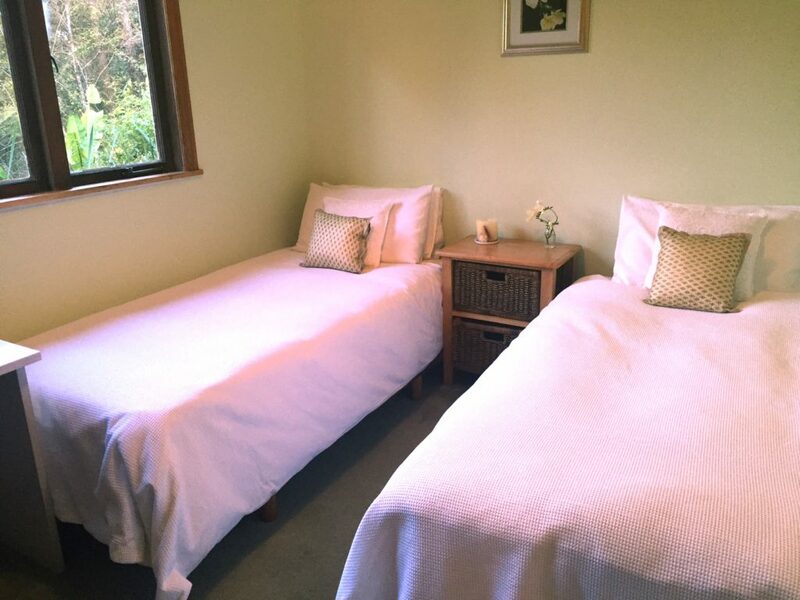 > Accommodation includes your own room, a shared bathroom and all linen. > Parua Bay, Whangarei Heads, is 2 1/2 hours from Auckland CBD. > Retreat begins at 6pm Fri night and ends 2pm Sunday. Guests are welcome to arrive from 4pm onwards on Friday. > No smoking or alcohol is permitted during this restful weekend. > Special dietary requirements can be catered for in most cases (please let us know). > No meditation or mindfulness experience is necessary. There will be guidance where useful and otherwise it really is just a time for you to relax and unwind. 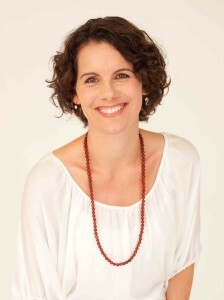 Karen is a coach, trainer and speaker, working with individuals and businesses. Her corporate training background coupled with over nine years in private practice coaching individuals, she blends the ‘personal and the professional’ to help people be at their best and enjoy life. Karen’s career spans more than a dozen countries and the past 15 years have seen her working with a wide range of individuals to help them perform at work and be more resourceful in their life. She has a business management degree and is a Master Practitioner of NLP (neuro linguistic programming). 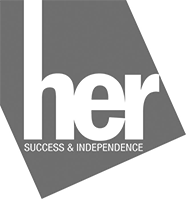 Her clients include individuals, sportspeople, business owners and organisations. Her focus on wellbeing grew out of a determination to beat stress herself, and following many of her coaching clients struggling to de-stress, switch off from work and enjoy life. I’m so delighted to be able to offer these beautiful, restful weekends. 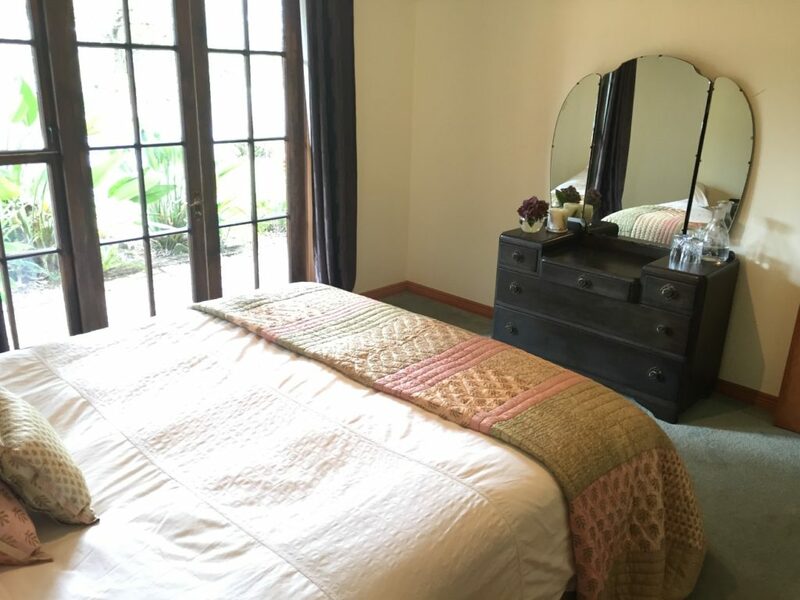 Be my guest in my little piece of paradise – a rustic, relaxing 5-bedroom home set in native bush surrounded by lawns and gardens and looking over Parua Bay harbour. I have benefited from retreats many a time and know how restoring they can be. It’s so good to be able to get away, rest, do no dishes, cook no meals and know you can do NOTHING should you need to, or simply walk, read or nap. Bliss.